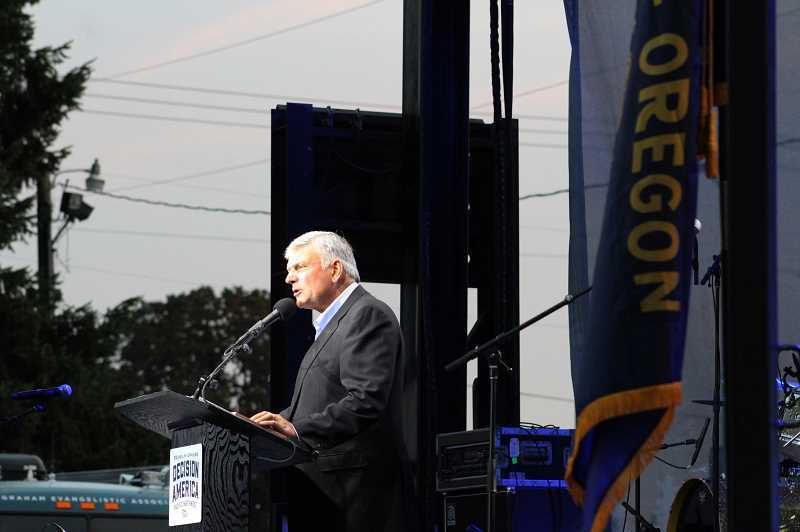 Franklin Graham's visit to the Portland area landed him at the Clackamas County Fairgrounds and Event Center in Canby, Oregon on Sunday, Aug. 5, where he preached a message about God's judgment to a crowd of more than 12,000 people and urged them to get involved in politics through praying, voting and running for public offices. 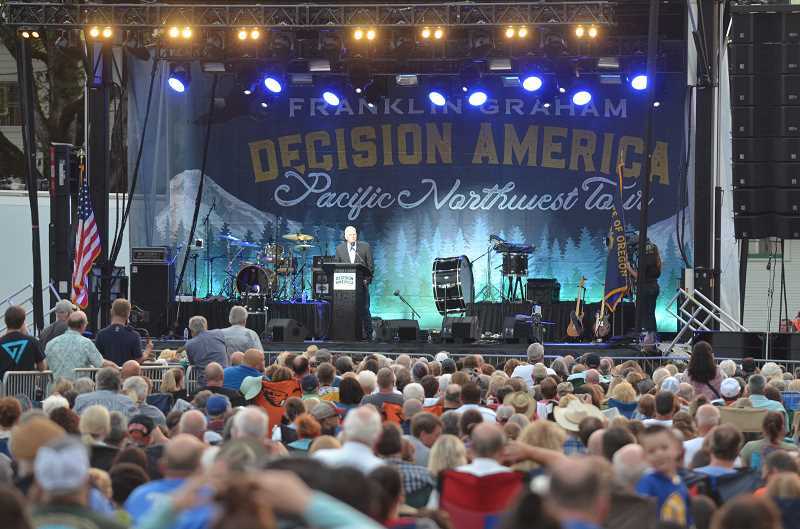 The event was one stop on his "Decision America Pacific Northwest Tour," during which Graham is urging Christians to vote in the midterm elections. He made it clear before the event though that his first priority is to preach a message about faith. "First of all, I want people to know how they can be sure they're going to heaven," Graham said. "That's why I'm here today, is just to give a simple message out how people can be sure that their sins are forgiven." 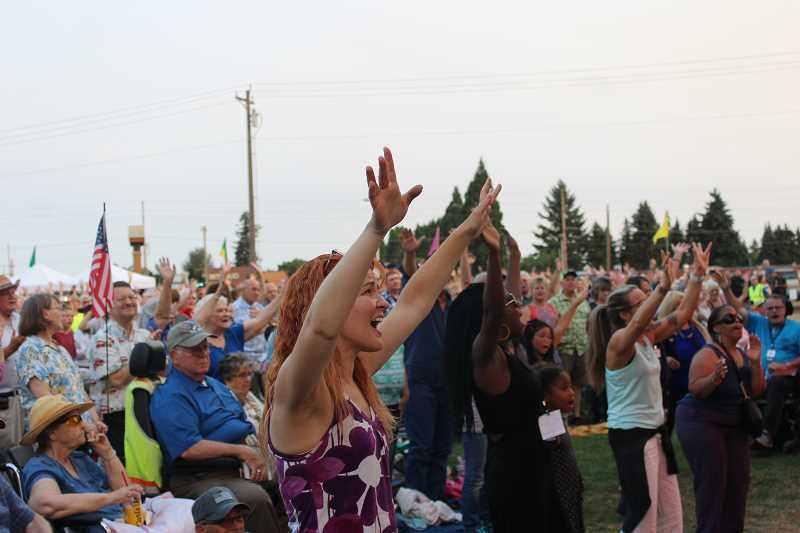 Lisa Evans and Linda Osburn came from Milwaukie and Boring to attend the event among an estimated 12,200 others, according to event spokesperson Todd Shearer. "We want to fellowship and see what God's going to do. The move of God, the Holy Spirit, needs to come to this area," Evans said. "We need God." The California and Northwest tours build on Graham's 2016 tour to all 50 states prior to the presidential election. Graham said that he does not align with a particular political party and does not attempt to sway voters one way or the other. "I don't tell them how to vote, don't tell them what party to belong to—I'm not a republican, I'm not a Democrat, I'm Independent—but it's important that people vote," Graham said. "If we don't vote, we're going to lose our country." Graham also denied promoting President Trump, though he acknowledged that he's grateful for Trump's friendliness toward religious freedom. "I don't campaign for Trump. I didn't in the last election," Graham said. "I was asked to campaign. I said, 'No, I'm not going to do it.' So, people think just because I prayed at the inauguration that somehow I was campaigning for him—I wasn't. "I'm here to preach the gospel. I'm not here to talk about individual politicians, but I want to encourage Christians to pray for all of our politicians, for your Governor Kate Brown, for our president, our vice president, all of your elected leaders in Washington. It's important that we pray." Graham was reminded of the country's political division as he visited Portland's Patriot Prayer Rally, which was counter-protested by Antifa members. "I've got my jogging shirt on, nobody knows who I am," Graham said, "but I'm listening to people, both sides yelling at each other, screaming…I'm not going to say what they were saying. But there's not a politician out there who can fix this country. Republicans can't fix it. President Obama, 8 years, couldn't fix it. Trump's not going to be able to fix it. Only God can fix it, okay. And we're going to lose our country sooner or later to anarchy if something isn't done. And that's why I want to ask Christians to pray and get out there." 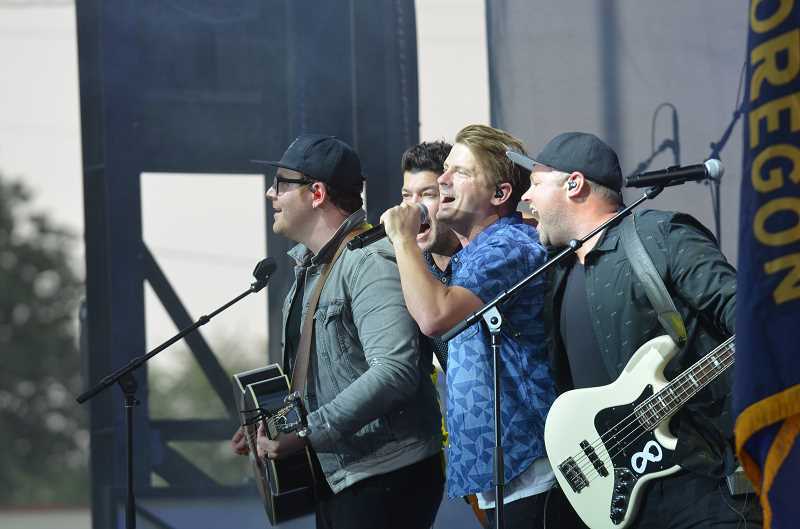 Graham took the stage following a musical performance from Christian band, The Afters, who toured with Graham's father, evangelist Billy Graham, for years. The lead singer of the band, Josh Haven, paid tribute to Billy Graham, reminding the crowd of something Billy Graham used to tell people: "that someday you'd hear the words that Billy Graham has died, but don't believe it, because I'm actually more alive than ever." In his message, Graham taught that God will judge sin and that it will be a "frightful day" for those who do not repent and receive forgiveness. Backstage, Graham classified sin to include lying, stealing and homosexuality. "I don't preach against the gays or lesbians, I preach against sin; and I think homosexuality is a sin," Graham said. "Lying is a sin. Stealing is a sin…but I want people to know how they can be forgiven of all of their sins. So, I'm not here against any particular group of people, but I don't compromise. I'm going to tell people, I love them enough to tell them, that if you continue living like this, God's going to judge you one day. He's willing to forgive you, but you have to come to him through Jesus Christ."